I grew up in California and have been a Raiders fan since Madden was the coach. I was absolutely gutted when Carr went down. As a life long Raiders fan I've had a "Screw Brady and the Pats" attitude since the "tuck rule" game. I've been living in Maryland since '86 and been a Ravens fan since they came into the league, so I'm obliged to dislike the Steelers as well. So for the AFC Championship game I'm stuck with trying to decide which is the lesser of two evils for me. The fact is that I don't really want to see either in the Super Bowl, but I'd rather see the Steelers end up losing to the Packers. Because if the Falcons end up winning the NFC I might not even bother watching the game no matter who is representing the AFC. Wow, that's all a bit complicated, lol. As a Broncos' fan I have a natural antipathy towards the Raiders. That being said, there is no way I could support the Pats, and both NFC teams are a bit meh in my eyes, so at the moment, Steelers it is. WE'll see how things progress at the weekend, when I may have to revise my affiliations, lol. Looking forward to both games though. Complicated? Division rivalries and petty grievances are the simplest things in the world! So can we agree that if the Pats get through, and the Packers get through, we'll both be supporting the Packers? On last year's Superbowl, i was so amazed about how good Lady Gaga sang the Star-Spangled Banner, never had thought she could sing that good. I wish she would sing it again in this year's Superbowl, but it just can't happen, can it? Any clue who will sing the anthem this year? Or is it a last minute surprise? She is a surprisingly good singer. When all thw theatrics are strippes away. She is doing through half-time show this year. It's something country guy doing the anthem, can't remember his name. I agree with the opinion on Lady Gaga. I thought she did a great job at the Superbowl last year, so much so that I actually recall thinking she was really good. I'm quite happy with the way the Superbowl matchup has shaped up. I did predict before the season 3 of the 4 teams that made the championship games. I didn't predict the Falcons at all. The Falcons have such a variety of threats it'll be a really interesting game I think. Even if the Patriots pretty much shut down Julio Jones through a lot of double coverage, there are several more big value threats on the Falcons. All said and done though, I just don't think I can bet against the Patriots. I just hope it's a good game. I remember the distinct disappointment of 48 when it became rather quickly obvious that the Seahawks would win. Annoying when the game is on at stupid o'clock in the morning and means a day off work to watch. Got my fiver on Tails for the coin toss. My buddy and I played the Superbowl in Madden last night (me - Pats, him - Falcons). 45-39 to the Pats in the end. Both kickers missed PATs. Brady went over 450 yards, 4TDs, 2 INTs. Ryan went 3TD, 4 INT. And so as many of these stats as I could get got wrapped into a wee accumulator bet. Should be a good game (thought that before 48 Broncos vs Seahawks though). I'm really not sure how it will go. I think the Falcons offense is all but unstoppable. They have a top class tier 1 reciever in Julio Jones and then pretty much everyone else is still in the "pretty good" category. Then Freeman and Coleman running/catching have been great too. Pats like to take away the top target but if that's Julio getting double covered then another receiver will make a play. I think the key is absolutely the Falcons run game. I can't bet against the Pats though. Going to my mates house to watch. 6 of us heading so should be good. Hope everyone enjoys the game. Going to my mates house to watch. 6 of us heading so should be good. Hope everyone enjoys the game. Same here. Getting ready to head over to a colleague where we and a bunch of others will watch the game. The game was probably dead at halftime at 21-3. When it was 28-3 it was almost certainly dead. What. What. Brady had a slow start but my god he was the epitome of clutch late on. That Edelman catch with the ball so damn close to the ground and being in a bundy* with 3 Falcons. Overtime. WHAT! I'm actually still rather in shock over the whole thing. I was pretty much neutral going in. I've enjoyed the Falcons and I can't help but have tremendous respect for Brady, Belichick and the Patriots in general. We had one other neutral, 3 guys on Falcons side and one guy who was on the "not-the-Falcons" side. Brady's 4th quarter got the 3 Falcons guys to change opinion. Pats did so well and had gotten so far toward an epic comeback they were fine with a Pats win. That was brilliant. 48 was a dud. 49 was fantastic. 50 was a bit of a dud but not awful at least. 51 will be legendary. Knowing the result would ruin it in many ways but that tongiht was a huge LIVE sport moment. Probably just a huge sport moment but tbh I'm still pretty pumped so don't want to say anything about the game. It's half 4 and I'm not even tired at the moment. I figure anybody looking in this thread by now will know the results! Oh my word, what a game. From the start it just didn't look as though the Pats were clicking. The Falcons had their RBs covered in every play. I'm not sure Blount made more than a yard or two per carry all game. Then once Atlanta started scoring, it was starting to look embarrassing. Through my alcohol-blurred memory, I think what changed was the Patriots stopped trying to run the ball. Concentrating on passing until they were within goal range. Once a few good passes connected in the final quarter, their confidence grew, which had seemed lacking the rest of the game. Needed a bit of luck and a run of Falcon penalties to finally come their way, but they finally did it. One of the best sporting come backs ever. I nearly booked a taxi home towards the end of the third quarter, thinking I'll beat the rush and get to bed an hour or so earlier. I'm so glad I didn't! I'm still in chock and I think I'm just about fully sober from last night. I told my friend (Broncos fan who wanted nothing more than Pats to lose) that I couldn't remember last time I had seen the Pats play so badly as the did in the first half. The game was over! Nothing could be done even with the GOAT as QB. Then the miracle. I almost feel sad for the Falcons. They have really played great all season up until the last quarter. I thought Super Bowl 49 had an epic ending but this was on another level. I gave up at half-time (I'm in the UK, so waaay past my bedtime!) - imagine my reaction when I awoke the next morning and checked on the news! Watched the second half on iplayer last night. Even in the final quarter, and knowing the eventual result, I still couldn't bring myself to believe that the comeback was on. Btw would somebody in the know please explain that last two-pointer conversion? Amendola was at the end-zone line but (i) his feet were not on it and (ii) the ball was not grounded. Is it merely that the ball itself has to be in the zone? Thanks. Yeah the ball itself just needs to cross the plane to count. I'm still a little in shock. Great game though, had a blast watching it with my buddies. I thought Lady Gaga was really good at HT too. Apparently she's been getting some abuse online about being too fat or some pish. I don't understand that at all. Curious to see how Ryan continues from this. To be at the point where a win was 99% (number pulled from my behind admittedly) certain to losing after having the year of his career. Curious to see how Brady continues too. He's getting to the age where I'm expecting the cliff to come as it did to many others. But who knows. Maybe he can go another 4 years. Maybe he'll go if the Pats get to 7 Superbowl wins and become the most successful franchise. Speaking of Brady. Would a loss have tarnished his legacy? He's 5-2 in Superbowls (Eli must love that). 4-3 is a different kettle of fish though isn't it. Not sure my thoughts on that. Maybe pulled from somewhere, but perhaps accurate, some sites were gave the chance of a Falcons win at 99.6% at one point in the game on Sunday. 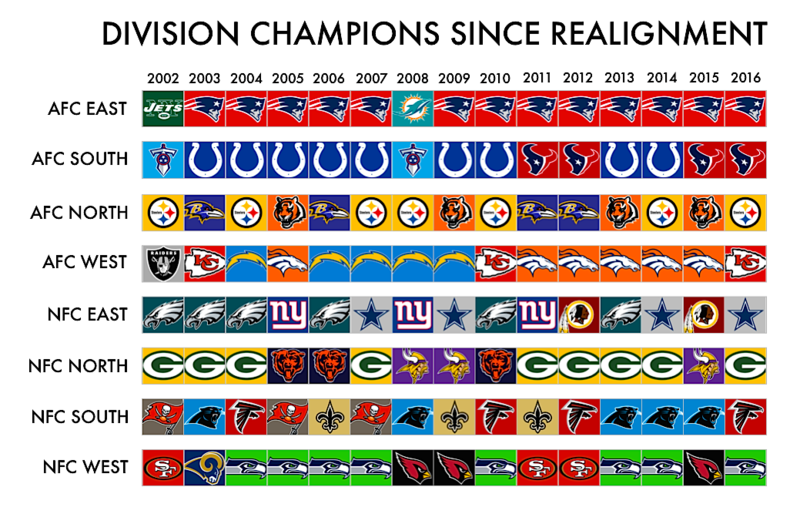 Look at the chart on the left hand side of this page: http://www.espn.com/nfl/game?gameId=400927752 (click it somewhere near the beginning of the 4th quarter). Nah, the guy's 39. Making a SB is impressive enough at that age. I don't think there's anything inherently bad about losing a SB unless terrible personal play contributes massively to it, after all you're almost always playing a high quality team. Knockout competitions are always high variance, to be consistent enough to reach the SB or even the conference championship games so often is crazy good (with a huge contribution from coach and roster obviously - I do believe a couple of other QBs could have been just as successful over the same period given the same situation). Reminds me of someone like Federer, it's not necessarily that he won every competition in sight but he had something like a 5 year period of never failing to reach a semifinal which is just ridiculous. Location: Fourth rock from the Sun! So, what do you guys think about the Raiders moving to Las Vegas then? I feel bad for the fans, but without a viable stadium option in Oakland what else could they do. I read they had the lowest stadium income in the league last year. I also think a stadium in LV will have problems. Not least keeping players in check in the City of Sin! I have never liked when teams move. Raiders should be in Oakland (maybe LA) as should Chargers be in San Diego. Raiders have a great fan base but in Las Vegas they will be the Manchester United of NFL with only tourists watching before they go back to the casino's again. So Tony Romo is pretty much retired ( I think he said he's suit up if the Cowboys needed him). As a fan of the NFL, it's a little bittersweet. Romo was generally entertaining and a great QB (imo - 2014 Romo was MVP caliber). However, I think he's made the smart call. He's made well over $100 million so hopefully isn't short of a few quid. He's also had two considerable back injuries along with numerous other back issues. TV work is calling and he's much less likely to end up with any major health issues from that line of work. He never got that ring but he had a brilliant career. I definitely respect his decision. Also, he got the colour commentator job on CBS? As in, their A-team! Interesting. I'd have thought they'd have eased him in a little more unless they wants Simms gone/Simms wanted to retire. I watch some Colin Cowhard stuff on youtube and he was pointing out Troy Aikman honed his skills in NFL Europe as a colour guy before getting the big job on Fox. I wish him luck, though I still think Jon Gruden on ESPN is the my favourite colour commentator. I really enjoy the ESPN coverage, though it's harder to watch due to it generally being the Thursday night games and me living in the UK. Simms is awful, happy to take a shot with Romo instead. Former Patriots Tight End Aaron Hernandez found dead in Massachusetts prison cell in apparent suicide. Good, that saved a bit of tax $$ for the state. He took the easy way out. The glorious period where F1 and NFL overlap is upon us. I'll be staying up to watch some of the game tonight. Hopefully it is a good one. Are you braced for 10 days of every single sports talk show, every show on NFL network and every NFL game that has a lull asking if Brady has fallen off the cliff? I mean, he could have (Oh god, now I'm starting!). But it's going to be an incessant debate when the real answer will not become clear for a few weeks at least. But equally, Pats had a few issues on Defence and Special Teams too. The game looked like it might be a dominating Pats victory early on. Cooks did well. Gronk is still the best receiver TE in the game. The run game was pretty strong. I am up against Brady and Cooks in my fantasy matchup this week so I'm quite thankful they didn't light up the scoreboard as some had predicted. I've got Brady, and I accidentally started Allen at TE, who I got in for when Gronk gets injured. Fortunately, I also picked up Kareem Hunt when Ware got injured - so I think he might have just saved my matchup! I doubt Brady has dropped off (yet! ), not seen the highlights yet,but like you say, it doesn't sound like it was a great team performance in the second half. I had totally forgotten this early game... quire pleased to see that i got some goox points out of Gillislee. Not so pleased that my opponent has Elliott who they are letting play tge first game before he starts serving his 6 game suspension. How/why does the suspension start game 2??? I thought it was because it was confirmed so late that it'd be almost unfair on the Cowboys to now have to gameplan with another guy at the position. Though if they knew the suspension was looming, I don't see why they should get this opportunity. And they did know it was coming. That said, now it's gone to the courts and so Zeke will be playing until the legal matter is settled. Losing Zeke for the first 6 games would be harsh, but if they end up losing him in the late season or playoffs then it could be worse. However, it seems the latest is that the courts do not think that Zeke had a fair hearing by the NFL - though the court doesn't comment upon if there is or isn't sufficient evidence that Zeke did the things he was accused for. It is simply that Zeke did not get a fair adjudication or appeal for this suspension. The reports seem to suggest that this suspension will end up happening but will be a ban for 2018, similar to Brady/Pats going to court over the deflated balls malarkey and that suspension ended up starting a season later than it was initially going to. For those of you who watch other sports - does this kind of thing happen? I can't recall anyone being done for anything in their personal lifes in F1, Most bans I can think of for the Premier league seem to be for on-pitch stuff where it's pretty open and shut or missing a mandated drug test like Rio Ferdinand many years ago and haven't gone to court. I think the whole thing stinks. It seems (from across the atlantic) that the police had no evidence, and in fact seemed to be a case of the "victim" fabricating things. How then the NFL can suspend a player for it is bizarre. I'm sure there is more to it than what I have read, but it seems to me that the NFL are rightly taking a hard line, but it is in this case misplaced. Yeah it seems like they are making up for the overly short initial bans they had for Ray Rice, Josh Brown and probably others but again they go way off in the wrong direction from the looks of it. Just bizarre how an entity so large can make fundamentally terrible decisions so often. Just bought Vikes tickets. Got an email saying more tickets were available, texted my buddy who is now some big time city lawyer in London and he's up for the game and letting me sleep on his couch. This is a good day so far. 'Bout time for the Bears. Mitch Trubisky to get the start. GO GET 'EM, "SEA BISCUIT". Packers @ Cowboys... What a game! I dunno how Rodgers does it, I knew that with 1:10 on the clock he'd march down the field and get a touchdown. Well, I had an absolute blast going down to London this weekend. Just got back into my own flat. The tickets we got were right behind the endzone (the Browns marked one) so I saw the Thielen and Rudolph TDs up close. McKinnon's TD and 2 pointer were right up the opposite end, and it was a bit hard to see them. Actually, quite good for watching as you could see everyone but a little hard to judge distance made. Twickenham's travel is a lot more hassle than Wembley, as you might expect. Good fun crowd, great atmosphere with everyone as it was when I went in 2013. Vikes are 2-0 when I turn up. Got my hand slapped (like a friendly saying hello to crowd slap) by Sammie Coates after the game. Waited a bit for the Vikes to come out but it was getting chilly and honestly not really a huge thing for me to see or get a photo with players. I feel like Vikings were by far the largest team represented by jersey numbers. Seahawks and Pats probably the next 2. I really didn't see very many Browns fans flying colours (so to speak). Bills was the last team I got on bingo and had the fewest jerseys that I saw over the weekend. Yet again, a great fun experience and I'd fully endorse it to anyone who is thinking of going. Also, my goodness, the Zak Miller injury. It's horrific to watch and he damaged his leg so badly that he's lucky that the doctors were (hopefully) able to save him from losing his leg. I wish him well but wow, that's one of the worst things I've seen in terms of sport injuries. The Saints are now starting to look really scary. The have Brees as the last decade, two great running backs and now they seem like their D is, at worst, pretty solid. I'm thinking NFC playoffs may be something like: Saints, Rams, Eagles, Vikes as 4 division winners and the wildcard slots to 2 of Panthers/Falcons/Lions. I really like the Saints chances among those QBs especially. Keenum had another pretty sweet game. I heard some rumours that Zimmer was going to put Teddy in the game for longer than just to test his legs in a live game. I admit, I'm not a huge Teddy fan. I like the guy from how he seems as a person, but I didn't think his 2nd season was indicitive of a QB who you want as a franchise guy, though a guy you wouldn't be unhappy to have overall. I like Bradford, and he looked great in the single game he played this year. That said, I've found Keenum to be playing better than I expected and I think it's his year to ride this wave and see if he can pull it off. However, I'm also generally quick to jump on the QB bandwagon. I did it with Cassel in 2013, I did it with Teddy in 2014. I did it with Bradford. I've done it with Keenum, so perhaps more emotional than rational. Enjoyed Redzone this week a lot. Good games in many cases. Felt like more people went for it on 4th or tried a fake punt. The Jacksonville one was brilliant especially, going all the way. Yeah Saints are legit. The defense is actually pretty good. Seahawks will be in there one way or another, only a game back from Rams but have already beaten them away and have an easier schedule. Think they go 11-5 at least from here.